We are a licensed Class 3 dealer with a current SOT. 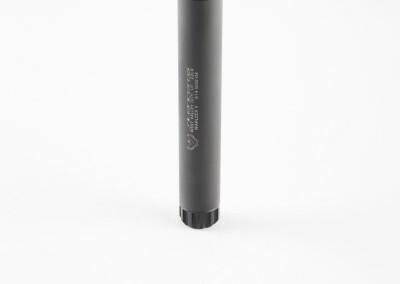 We stock many of the most popular suppressors for rimfire, pistols, rifles, and shotguns. We also keep many muzzle devices required to use these items in store. Although we are not stocking short-barreled rifles or shotguns at this time, we can order most items from manufacturers and distributors. 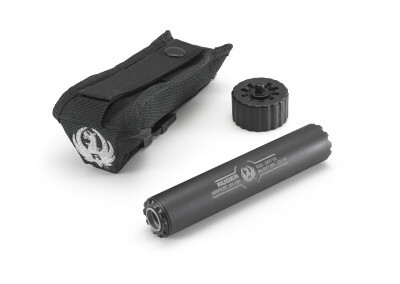 Please see the links below for brands of suppressors we stock, and feel free to call if you are looking for any specific models. Yes, in Missouri NFA (National Firearm Act) items, including suppressors, short-barreled rifles (under 16” barrel) and shotguns (under 18” barrel), and AOW’s (any other weapon, e.g. a short barreled shotgun with a pistol grip) are legal to own and possess when purchased through the proper process. Most states (41 of 50) allow suppressors. Our neighbors, Illinois and Iowa, currently do not allow Class 3 items. In Missouri, suppressors are also legal for hunting. Please visit www.silencersarelegal.com for more information. What do I have to do to buy a suppressor? Once you decide which model you would like, come in or give us a call to see if we have the item in stock. If we need to order the item, we ask you place a deposit. NFA orders take about 6-8 weeks to process, due to the approval paperwork involved. All suppressors must be paid in full before we begin any transfer paperwork. We do not charge any additional transfer or paperwork fees when you purchase the item from us. 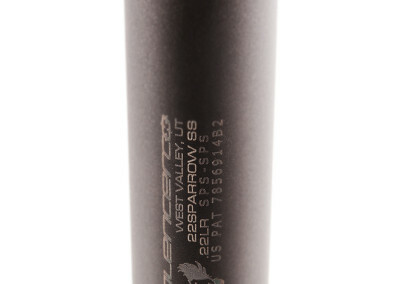 Once we have the suppressor in store (and we have many popular items in stock to avoid the extra wait! 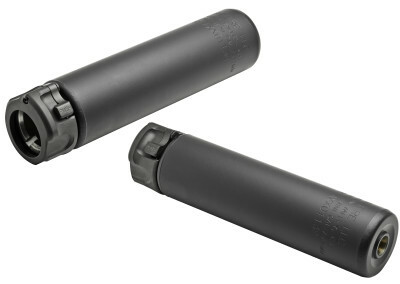 ), there are two ways to go about the transfer of a suppressor. Pay for the suppressor in full. We will print 3 copies of forms for you to fill out, and go over how to fill the forms out. Get 2 passport photos taken at Walgreen’s, or your store of choice. Go to the appropriate law enforcement agency to have 2 finger print cards completed. Bring your completed forms and a $200.00 check made out to the BATFE back to Mid America Arms. Before sealing and mailing the envelope, we will make sure everything is filled out to ATF standards. We will make sure your paperwork gets in the mail. Sit back, forget about the forms, and wait about 6 months for the approved forms. Approved forms are mailed back to the transferor (which is Mid America Arms). We will let you know right away when your paperwork comes back, we know that waiting is no fun! When you come in to pick up your item, you will fill out a 4473. We will go over the proper installation of the item, make sure you have any accessories you need, and answer any questions you may have. Have a printed copy of your full trust with you so we can fill out the paperwork. Bring your completed forms, a complete and notarized copy of your trust, and a $200.00 check made out to the BATFE back to Mid America Arms. 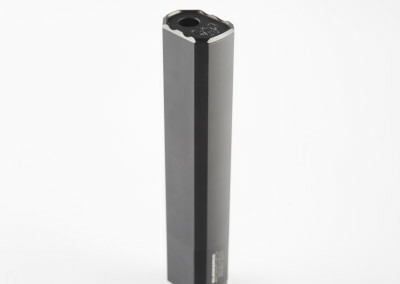 When you come in to pick up your suppressor (or any other NFA item), you will fill out a 4473. We will go over the proper installation of the item, make sure you have any accessories you need, and answer any questions you may have. When should I start an NFA trust? NFA trusts have many benefits. They allow multiple persons to possess and have access to NFA items. Many times this will be a husband or wife, siblings, or adult children. The trust also establishes a clear plan of succession to your beneficiaries. However, when setting up an NFA trust, there is a fee, which starts at $100.00-$200.00 for a very basic trust. If you are the only user and you only intend to purchase one or two items, doing transfers as an individual may prove to be more cost and time efficient for you. In fact, about 2/3 of our transfers are to individuals. If you do decide to set up a trust, please visit the links to the lawyers below for more information. What happens to my NFA items when I die? The NFA has provided a solution for this that does not require a trust! As long as you specify in your will whom you wish the items to go, the process is quite simple. The executor of your estate takes possession of items and submits tax-free forms on your behalf to approve the transfer to the person you designated in your will. I want to make my own SBR. Can you help me with the paperwork? Simply put, no. The manufacture of a SBR requires a Form 1, which you can find by clicking here. 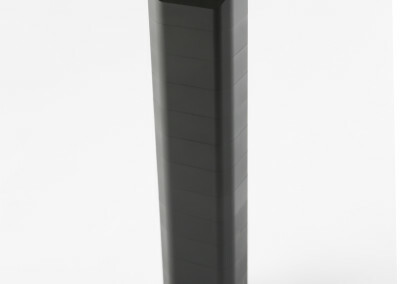 This requires a one-time $200.00 tax, and you must have your receiver engraved with you as the manufacturer. Having a trust allows you to submit an e-form on the Form 1, saving some time. If you do a Form 1 as an individual, you must submit fingerprints, photos, and a CLEO’s signature. Below you will find links to the primary manufacturers we stock. As always, we are more than happy to place special orders to get the perfect item to fit your needs! Kozeny & McCubbin, L. C.
Disclaimer: We are not in any way affiliated with these lawyers. The material is for informational purposes only and does not constitute legal advice. The determination of the need for legal services and the choice of a lawyer are extremely important decisions and should not be based solely upon advertisements or self-proclaimed expertise. No representation is made that the quality of the legal services to be performed is greater than the quality of legal services performed by other lawyers.